Anyone can complete an SMS marketing campaign, but not anyone who can conduct a campaign can do it efficiently In fact, some companies go along with their campaign with their eyes closed, completely unaware that their text message marketing tactics are causing them greater damage than good. They barely take notice that their supporters are unsubscribing from their subscription lists until one day it is too late and there is no one there to have your back. Things do not have to be this way for your company. Your SMS campaign can be a huge success, and you can ensure that your results exceed your expectations, and it is all as easy as learning how to keep your subscribers entertained and engaged in what you are offering. The best way to do that is to learn just what it is that send those subscribers scurrying off in the other direction and opting out of text message campaigns. So, just what is it that so many companies do wrong and send their customers running the other way? Take a look at these four common SMS marketing mistakes. They are almost always to blame for an unsuccessful text message marketing campaign. Frequency is the number one reason people drop their subscriptions. In the usual circumstances a company signs up to receive text message marketing services. This person is usually so eager to get started and build his brand that he goes a bit overboard. There are texts being sent each day, if not multiple times per day. Sometimes they’ll even send the very same message multiple times. Let’s be honest- that gets annoying, especially if it isn’t useful information being sent to you. And, chances of It being valuable when sent in this frequency is low. When this happens an overly annoyed customer will quickly hit the unsubscribe button, make a post on Facebook about it and tell 10 of her closest friends. Don’t allow it to happen to you. It is important that you send around one text message per 7 days, unless there is really special announcement that you need to make. And, when this message is sent, make sure that it contains value to the reader. For those daily text message services, send the messages at the same time each day, always offer something new and exciting, and never send that message more than one time. What you say is important, but it’s also how you say it. Many times a subscriber will turn away because they do not like the tone of the texts being sent to them. Stay away from jokes that might be considered offensive to some people. Do not be overly pushy or come off as being rude or unprofessional. These tones are quick relationship breakers. Be aware of the audience that is being targeted. If you have services for all ages, stay away from adult themed material or other potentially inappropriate articles, blogs, videos or photos. And, ensure that you find a away with your words. Make sure that your tone is on spot. Read the message aloud to yourself to see how it sounds. Get the opinion of a few of your friends. This will help ensure a great message is sent time after time. Let’s face it- a customer is much more likely to respond and take notice of what you are offering if there is an incentive involved. Free desserts, discounted haircuts, BOGOF offers, coupons and the such are all popular tools to use for your SMS marketing campaign to gain customers as well as to keep them involved and engaged with what you are doing. While it isn’t necessary to consistently give something away, you do need to keep offers coming if you want to keep the customers interested. 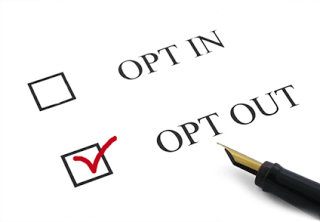 If you see many people opting out, consider the incentive that you are offering and perhaps making improvements to it. Keep in mind that SMS marketing is not the only way that customers are accessible to you. Do not forget these other platforms, as if a customer is unhappy in these areas they are likely to unsubscribe to your lists. Make sure that you stay active on all of the social networking sites that you maintain, always responding as quickly as possible to customer replies, responses and complaints. If you address their concerns immediately they are much more likely to be customers for a long time ahead.